The Phytopathological Society is the premier society dedicated to high-quality, innovative plant pathology research. For more than a century, members of Phytopathological Society have been making and sharing significant breakthroughs, both for the science and society. 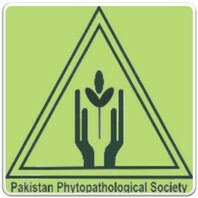 Pakistan Phytopathological Society is driven by a distinctive community of scientists, whose energy and commitment ensure the global advancement of this critical science.